*These stories are continues from TMNT New Animated Adventures #11. 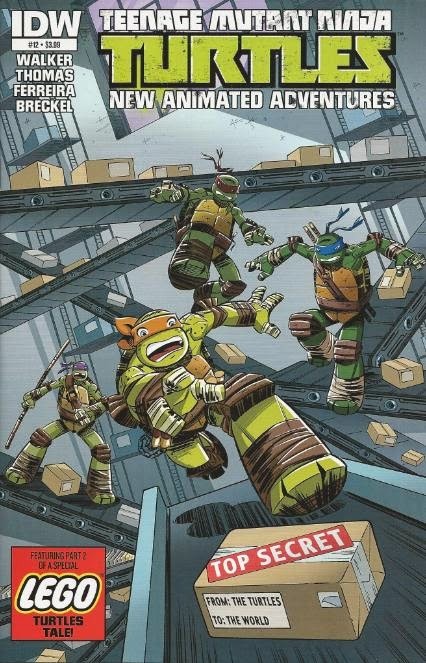 The story continues in TMNT New Animated Adventures #13. *This issue was originally published with 3 variant covers: Regular Cover by Dario Brizuela, Cover RI by Ben Costa, Subscription Cover by “LEGO” (but actually Bryan Turner).